Last year we started a new Christmas tradition in the Pea household, and they are a great, easy preschool Christmas craft to make! We made these handprint and footprint reindeer for everyone in the family. Every year the kids will make new ones to add to the reindeer family. They have the kids' ages on the backs so that they will form a record of their growth over the years. As our reindeer family 'grows', I will string them into a garland to use for decorating at Christmastime. (For now, they're individually taped around the living/dining room). 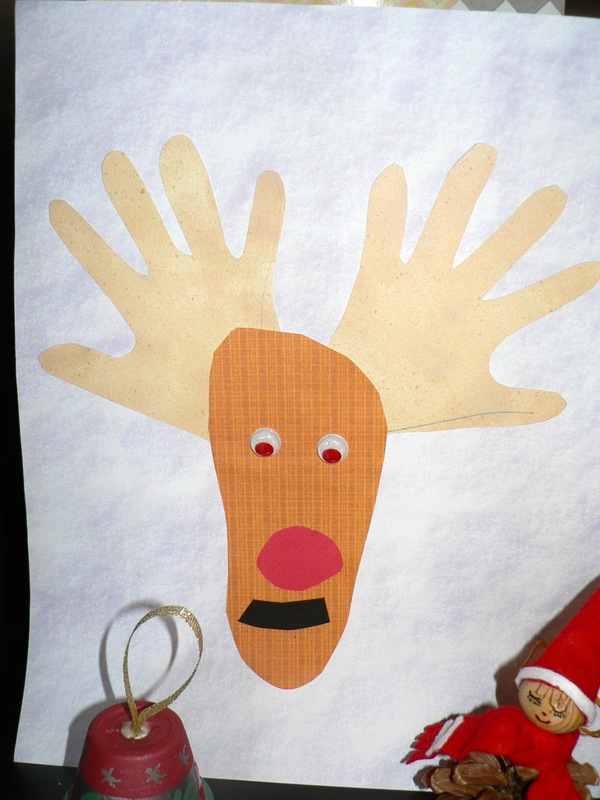 The reindeer themselves are super easy to make. Just trace a footprint for the head, and two handprints for the antlers. We used scrapbooking papers in shades of brown, so they are always a little different. Then we added googly eyes and a paper nose and mouth.